Find out what Ron and Nancy really think about psychoactive drugs in this uniquely edited version of a real televised address to the American people! By Cliff Roth. 7min 20 sec. Visit: http://www.drugtestmovie.com for more! "The Reagans Speak Out On Drugs" was originally released just before the 1988 presidential election, in 16mm film format. VHS video copies were later distributed, and in the early 1990s it was screened on cable-TV and at many festivals in the U.S. and around the world. In 2005 shortly after YouTube was launched it became one of the first viral videos (although all previous postings were unauthorized*), and it helped define and popularize the political mashup meme category, and is considered a pioneering remix video. This all-new digital transfer of "The Reagans Speak Out On Drugs" was created to commemorate the film's 25th anniversary, and celebrate the release of THE DRUG TEST. 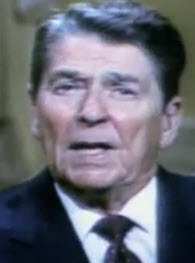 "The Reagans Speak Out On Drugs" was created by filmmaker Cliff Roth.